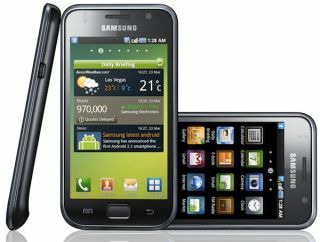 T-Mobile has responded to TechRadar's request for more information on the Samsung Galaxy S Android 2.2 deployment delay, apologising for the whole episode. The network originally promised the update would land by 1 December at the latest, but failed to meet that deadline, later confirming it would happen next week. "T-Mobile apologises for any inconvenience caused by the delay in 2.2 Froyo update for the Samsung Galaxy S.
"It is our priority to ensure that the update will provide our customers with the best possible experience and we are working hard to make this happen as soon as possible." T-Mobile couldn't comment on a reason for the delay, but reading between the pretty wide lines it's clear the Galaxy S upgrade failed some part of the testing process at the last moment. The problem here wasn't that the upgrade has taken so long to deploy (although it has irked customers) but a missed self-imposed deadline meant that users were constantly checking for something that never arrived.